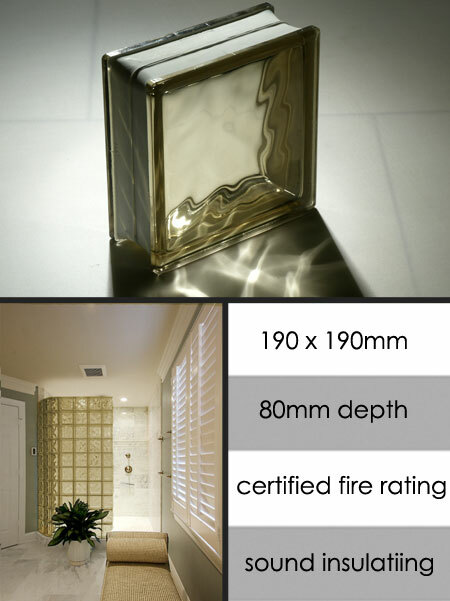 Top quality European glass block manufactured in a thick 8mm brown glass. Each coloured glass brick is 190mm x 190mm x 80mm thick. All the fitting materials and accessories are available and are quoted on application to the size of the proposed glass wall. Priced per glass block. * Brown tinted 8mm glass.